Leeward Community College’s Volunteer Income Tax Assistance (VITA) Program has provided free, live tax preparation services for the past 30 years ranging from low-tech carbon paper copies to our now cloud-based computing. Student volunteers and other community members are providing free tax help for low to moderate-income (generally $53,000 or less) taxpayers who need assistance with preparing their 2014 federal and Hawaii tax returns. 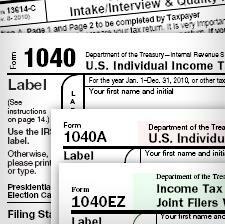 Volunteers are trained and certified to prepare basic tax returns. This does not include returns with business and rental income or complex investments. Tax returns can be electronically filed and refunds direct-deposited for faster service. No appointments can be taken. Simply walk-in and sign the waiting list in room BE 229 on the Pearl City campus. You can contact Roy Kamida (kamida@hawaii.edu, 455-0294) for more information. The VITA Program is part of Leeward's "Get Job Ready: Celebrating National CTE Month."